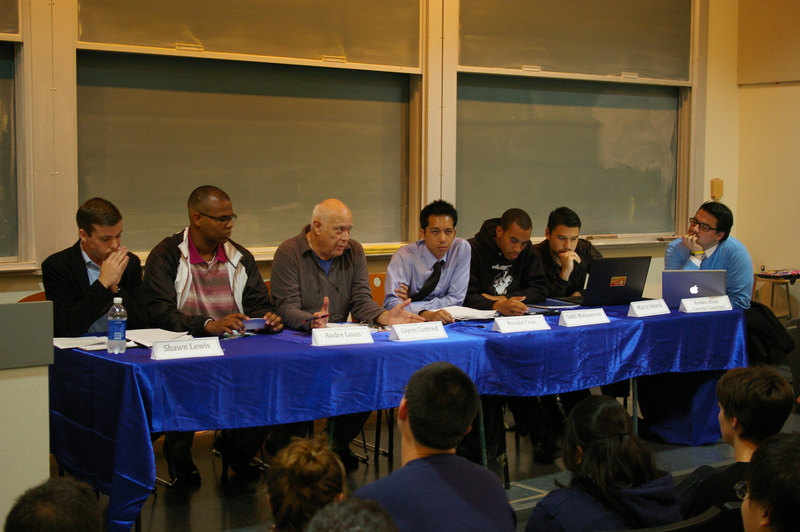 Andre (left) joins co-author of Proposition 209, Glynn Custred (center) in an affirmative action forum hosted by the Undergraduate Political Science Association. Although many of my freedom-loving friends have swiftly and rightfully defended the upcoming bake sale organized by the Berkeley College Republicans in terms of free speech and meritocracy in education, several have simultaneously questioned the sale’s appropriateness and viability as a political tactic. Race-based satire, say these hesitant supporters, may fall entirely within the realm of legitimate free expression, but those involved would better serve their interests by taking a less provocative, more expositional approach in making their argument. This half-baked (no pun intended) support is a serious mistake. The political left and its numerous allies make no effort to avoid stepping on the toes of those who disagree with them. As anyone who spends a few weeks immersed in the campus environment at UC Berkeley knows, the clear public consensus states that liberals alone hold the keys to the just city and that any who dare stand against them belong to a class of bigoted, antediluvian savages desperate to drag civilization back into the dark ages. Anyone who challenges the precepts of contemporary feminism is a misogynist, anyone who observes links between religion and mass murder is an “islamophobe,” and anyone who questions the legitimacy or efficacy of affirmative action is a racist. complainers constitutes an “immediate backlash from the UC Berkeley student community,” the ASUC will threaten to withdraw funding from your organization, and campus administrators will condemn your event as an affront to the mission of the university. While the language of tolerance and inclusion ostensibly aims to dismantle or prevent the institutional disenfranchisement of minority groups, it has been usurped by cynical, narcissistic demagogues who routinely try to suppress sober and genuine contrary perspectives through the disingenuous manufacture of mass hysteria and social stigma. And although these tactics themselves also fall entirely within the realm of legitimate free expression, they smack of a sort of backdoor censorship just as suspicious as the willfully loose and ambiguous language of SB 185. At this moment, libertarians everywhere should remember that government is not the only threat to free inquiry and free expression, and that not all repressive forces come from the barrel of a gun. When we stand by and watch minority opinions deliberately distorted, decried, and shouted out of view by those with no desire to listen, understand or discuss, we commit an evil as great as that of “liberal” members of Congress who failed to stand against the USA PATRIOT Act. Finally, and perhaps most importantly of all, let’s point out that the aimless whining of these narcissistic parasites flies in the face of reality. 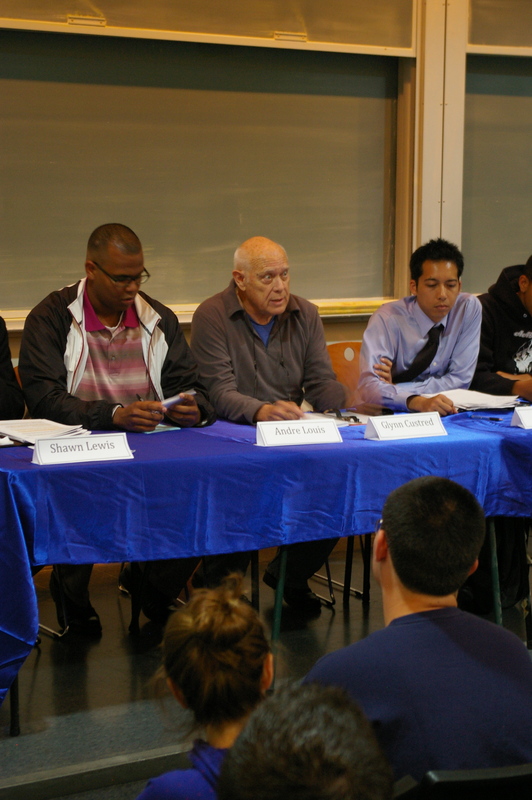 UC Berkeley, even in the midst of a full blown budget crisis, has one of the most extensive diversity-focused academic infrastructures on the face of the Earth. To wit, consider the following (expansive but not exhaustive) list of research wings, academic departments (subjects in which students may major, minor, or focus), student clubs, and dormitory theme houses. Perhaps we can hear a little less from student senators and administrators about how minorities are being made to feel “uncomfortable” on their own campus. If in spite of the almost comical mile-long list of support groups above, a student still feels left out of the kickball game, I submit the remedy to his ailment is not political, but pharmaceutical. Perhaps he (or she…no, wait, I’m succumbing to binary gender norms erected by the WASP patriarchy!) should try Zoloft—that is, if he can get up the nerve to betray his conviction that drug manufacturers are greedy, corporate fascists. ← Opportunity is not Being in the Right Place, but Having the Preparation to Take Advantage of It.